Designed to support on-the-go small and mid-sized business merchants (SMBs), Verifone introduces a built-in camera/scanner for the Verifone Engage V240m. The camera expands the already powerful V240m portable solution to be capable of payment acceptance, image capture, and QR / barcode scanning at checkout. From retail shops to restaurants, police departments to airports, the V240m camera empowers a wide range of SMBs to accept a growing variety of payment types and images. In addition to traditional credit card payments, the built-in camera scans printed or digital barcodes from coupons, loyalty cards, vouchers, mobile wallets and QR codes like Alipay and Groupon. Additionally, the camera conveniently captures images such as identity cards, bank checks and even license plates. All these activities help to improve both merchant and customer experiences, boost loyalty, and offer opportunities to increase revenue. The first-out use cases this year will be in Spain for issuing tax refunds, Norway for inventory scanning, Chile for barcode scanning, and Malaysia for Alipay support. 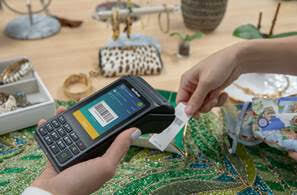 As part of the Engage platform, the V240m can be paired with Verifone Connect which includes merchant- and consumer-facing applications. 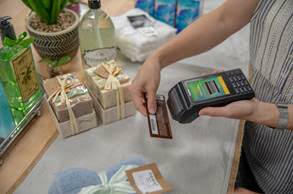 With Verifone Connect, merchants can start, run and grow their businesses with secure and adaptable, end-to-end solutions, and better manage their businesses with next-generation software and services. Introduced last year, the V240m is a cost-effective, durable and easy-to-use portable with a large 3.5” capacitive touchscreen, digital signature capabilities, and stunning HVGA resolution for new commerce opportunities. With multiple connectivity options and ample memory to support rich multimedia apps, in addition to the integrated scanner, the V240m device is an unsurpassed solution for merchants. To demo and experience this and all our next generation solutions, visit Verifone Stand D80 at Money20/20 Europe, June 4-6, in Amsterdam.